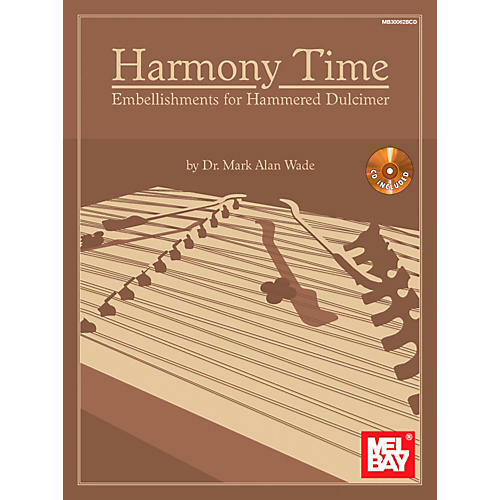 This book and accompanying audio offer an in-depth look at how to add accompaniment and embellishments to melodies on the hammered dulcimer. The material covered in this book illustrates how to enhance simple melodies to showcase their inherent musicality. Full of illustrations, examples, preparatory exercises and easy-to-play arrangements, this book is sure to bring new character to your playing. It begins by explaining, in simple terms, how and why harmony works and teaches the solutions to the common exceptions you will encounter. By the end, you will be able to apply the four most common methods dulcimer players use to add accompaniments to melodies. Note-for-note transcriptions of fully arranged songs from the author's own repertoire are also included.